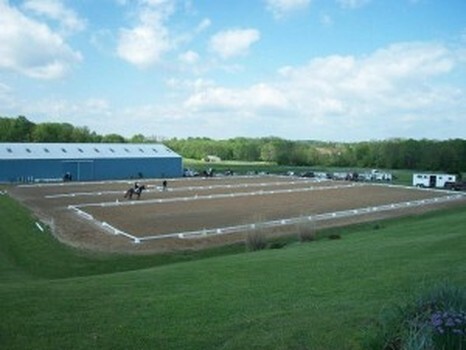 By Chance Farm is a boarding and training facility owned by Michele Wellman. Amenities include 12 x 12 matted box stalls, Nelson automatic waterers in each stall and field, feeding up to 4x daily with administration of supplements and medications, free choice high-quality Timothy and Orchard grass hay, high-quality Timothy and Orchard grass round bales in the winter months, daily turnout with small turnout groups of 3-6 horses (semi and private turnout available), specialized deworming program, fans on each stall in the summer months, blanketing in the winter and fly sheets in the summer, and personalized care from knowledgeable staff. Click here to view the By Chance Farm web site.